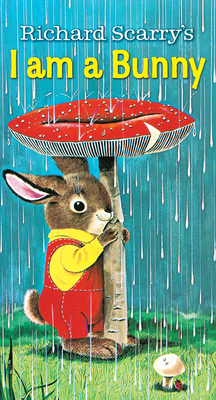 Cuddle up with Nicholas the bunny in Richard Scarry's beloved classic. In the spring, Nicholas picks flowers and chases butterflies, and in the summer, watches the frogs in the pond. In the autumn, he sees the animals preparing for the winter. When winter comes, Nicholas watches the snow falling from the sky, then curls up in his hollow tree and dreams about spring. In print for well over 50 years, this beautifully illustrated, gentle story has been a favorite Golden Book for generations. OLE RISOM (1920-2000) was one of the most influential publishers of mass-market books for children. He was vice president and art director of Golden Books at Western Publishing Company from 1952-1972, and then vice president and associate publisher of the juvenile division of Random House from 1972-1990. He worked closely with his good friend Richard Scarry over the years at both houses. He also worked with Dr. Seuss, Jim Henson, Stan and Jan Berenstain, Leo Lionni, Laurent de Brunhoff, Charles M. Schulz, and Marc Brown. RICHARD SCARRY (1919-1994) is one of the world’s best-loved children’s book authors ever! No other illustrator has shown such a lively interest in the words and concepts of early childhood. After a stint in the army, Scarry showed his portfolio to one of the original editors at Golden Books in 1948. There he found the perfect home for his children’s books. In the extraordinary career that followed, Scarry illustrated well over 100 books, many of which have never been out of print.